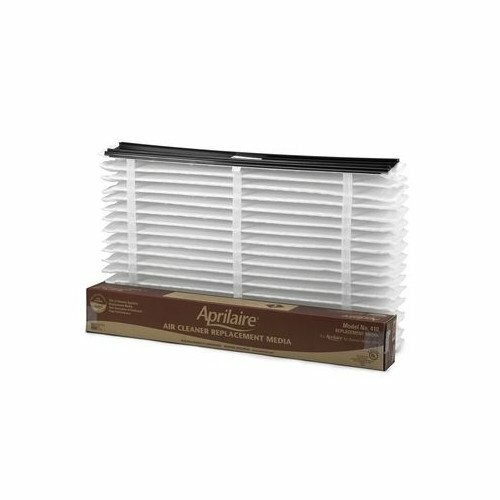 Overview Aprilaire 410 Air Filters are designed for best efficiency and are the heart of your air purifier. Specs: -Aprilaire 410 Air Filters fit the Aprilaire Model 1410, 2410 and 3410 Air Purifier -High-efficiency MERV 11 rating -Change your Aprilaire 401 filter every 6 months -Genuine Aprilaire Self-Seal #410 ensures the best performance -Change Aprilaire 410 Air Filters once a year -Dimensions: 29.13 x 4.25 x 3.75 (In box) -Weight: 2.65lbs Aprilaire 410 Air Filters helps keep your HVAC equipment running at peak efficiency. View More In Compressed Air Treatment.